Robb Jeremy (Nissley) Heppner was born in Glendive, Montana on September 25th, 1981 to parents Dennis and Laura Nissley and older brother Tad. After the passing of Robb’s father in 1982, Laura and her two boys moved to Salem, Oregon. Robb was adopted by Laura’s 2nd husband, Mark Heppner, in 1988 and his brother, Dustin, was born in 1989. Robb graduated in 2000 from South Salem High School. He went to his parents’ alma mater, Hesston College, in Kansas before graduating with a degree in Business Administration with a concentration in Management and Marketing from Bluffton University of Ohio. During his time in Bluffton he met Abby (Monnin) Heppner who would later become his wife. Robb and Abby were wed May 10th, 2008 in a small church in Hawaii. They lived their first married year in St. Louis, Missouri while Abby finished her chiropractic degree. Robb began his career with US Bank as a bank teller in St. Louis before working his way up in the bank and transferring to Salem, Oregon where they intended to set down roots and start a family. Robb and Abby were blessed with their first child, Eli Jeremy Heppner in May 2014. Robb continued his successful banking career by becoming Branch Manager of the Sunnyslope Branch of US Bank from 2014-2016. Their second son, Ezekiel “Zeke” John Heppner was born in October 2017. Robb’s faith grew strong as he battled glioblastoma brain cancer in the last years of his life. He was baptized at St. Joseph’s Catholic Church in Nov. 2017. 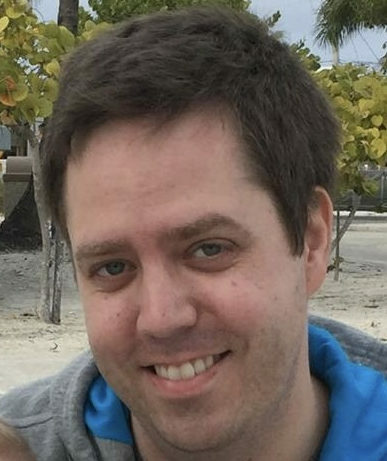 Robb was preceded in death by two fathers, Dennis Nissley in 1982 and Mark Heppner in January 2018. Robb is survived by his wife Abby, his sons Eli (4 years old) and Zeke (11 months), older brother Tad and fiancé Petronella Kettunen of Gothenburg, Sweden; his younger brother, Dustin, and mother, Laura Heppner both of Independence, Oregon and many friends and extended family members. Memorial visitation will be held at Johnson Funeral Home in Salem, OR, on Tuesday, September 11th from 4:00-7:00pm and a memorial mass will be held at St. Joseph’s Catholic Church on Wednesday, September 12th at 10:00am with a burial service to follow at City View Cemetery. In lieu of flowers, donations to the family are much appreciated to offset the cost of the boys’ education. Our prayers are with you Abby, the boys and Robb’s family. We can not be with you, but we will be thinking of you all. Love you all! Thinking of, and praying for you and your family Abby. Our hearts ache for you in this time of profound loss. Your family’s love for Robb is very evident in how you cared for each other during his illness. We are humbled by your faith and strength and offer our prayers to sustain you. Abby, we pray that your strength and faith will carry you through this difficult time. May the Lord bless you and your little boys in miraculous ways, you are loved. Abby, Eli and Zeke, you ate on our thoughts and prayers. I want to extend our condolences to all the family, and my heart goes out to his two little boys he leaves behind. May you all find comfort in knowing that he is no longer in pain. God bless all the family! Abby, your love and faith were greatly evident as you walked through such a heart wrenching time. May The Lord continue to give you strength, comfort and grace for each day. May the comfort and peace of Christ surround Abby, Eli, & Zeke at this difficult time. Thank you for trusting Johnson Funeral Home.